It could be modelled on the “auto-enrolment” system for workplace pensions, where every employee joins a company retirement savings scheme, unless they choose to opt out. 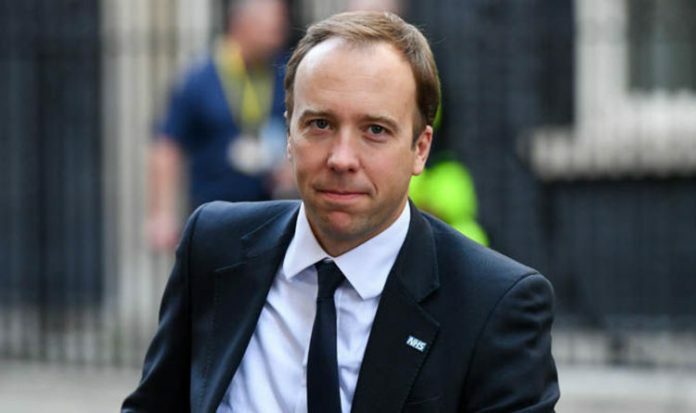 The proposal outlined by Health Secretary Matt Hancock is expected to be among options in a Government consultation paper due this autumn proposing ways to tackle the adult social care funding crisis. He said people should take more “personal responsibility” for their potential care needs, with too many now wrongly assuming the state will pay for it. In exchange, the national fund they paid into would protect them from the “injustice” of massive care costs swallowing up life savings and forcing them to sell their homes. Currently people in residential care in England get no state funding until their assets including houses are worth no more than £23,500. Theresa May’s general election proposal last year to take assets after a person’s death to cover care costs was branded a “dementia tax” and anger about it was seen as a key factor in the Conservatives’ losing their majority. The local Government Association of councils predicts a £3.5billion shortfall by 2025 in care budgets for pensioners and other vulnerable adults, just to maintain existing provision. Travelling to an international summit in China, Mr Hancock called for a shift in attitudes. He was drawn to the idea of an opt-out care insurance system, like pension auto-enrolment which has nearly doubled to over 90 per cent the number of workers saving for retirement income on top of the basic state pension. “If you make it the norm, tell people what it is they have to do to look after themselves, it’s often the case that very few people will opt out,” he said. Options could include a scheme to cover all costs of care at home, or in a residential home. But since payments would have to be high to meet fees which average £25,000 but exceed £100,000 for more than a tenth of pensioners, another idea is to seek contributions only from workers and to cap their bills. Pensions expert Ros Altmann said Mr Hancock’s idea could be helpful long term as today’s younger workers reached retirement but would do nothing to solve the immediate funding crisis of retired people needing care. Stressing there was no single “silver bullet” solution, and that the forthcoming Green Paper will need to propose a range of ideas, Ms Altmann said: “Contributions to a national fund for social care would be a major step forward in addressing the stark, unsustainable unfairnesses of our current system. “However, the success of pensions auto-enrolment has relied on employers organising and paying into pension schemes for their staff, so employees do not need to actively make decisions. She warned the current crisis will grow rapidly as the “baby boomer” generation reaches the age of needing care from a system where no money has been set aside to pay for it. “We are already unable to cope with the number of people needing care now, which is relatively tiny compared with the numbers coming through,” she said. She wants people also to be encouraged to make private provision for themselves, with extra incentives to earmark some of their assets – such as the over-£300billion now saved by older people in ISAs – for their own care needs. Caroline Abrahams, Charity Director at Age UK said: “There’s a lot to be said for us all ‘pooling the risk’ of developing expensive, long term care needs, because that would mean we could each pay a modest amount in exchange for the security of knowing our care needs would be met. “But you only get the benefits of risk-pooling if everyone takes part, so the worry with an auto-enrolment approach is that many people would choose to opt out.